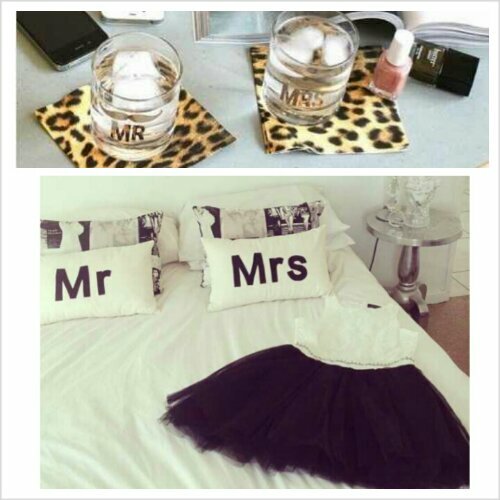 I love coming across fun sayings on decor items and since it’s wedding season…I think a cool gift is something his & hers. 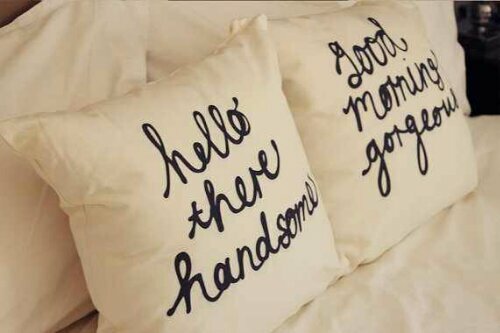 How adorable are the above pillows? 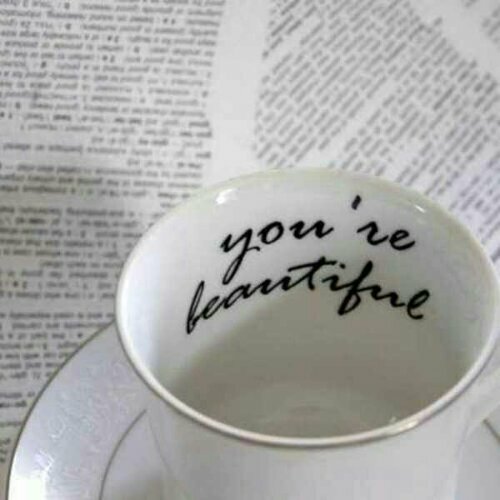 Something like this would make for great wedding gifts. 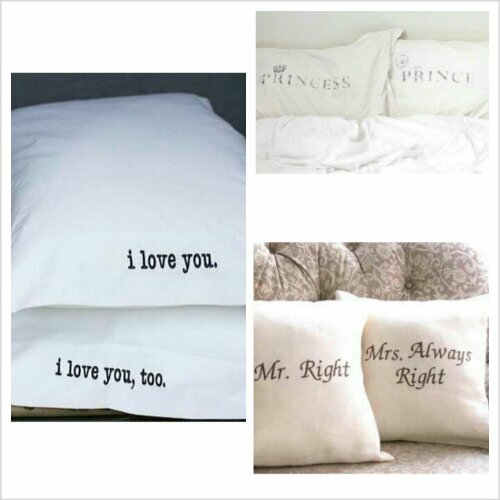 If you can find words to iron on a pillow or decals for glassware. The bottom pic is from @superficialgirls instagram. The glasses are from Furbish. And even if you don’t have a special someone in your life….who says you can’t have a positive reinforcement for yourself? Thanks for reading, subscribing and commenting. Happy weekend!